Greencore sugar plant closure unnecessary? The European Court of Auditors has found that the closure of the Greencore sugar plant in Mallow in 2006 may not have been necessary. The closure came about as a result of a major restructuring of the EU sugar sector following World Trade rulings and a drive to make the sector more competitive. But in a highly critical report published this afternoon, the Court of Auditors says that the European Commission was using out of date information, that overall sugar production had become less competitive as a result of the reforms, and that the cut in prices was not passed on to consumers. In 2005 and 2006 the EU negotiated a major reform of the sugar sector partly because subsidised European production allegedly hurt small producers in the developing world. The plan was to reduce production by six million tonnes or 30% by 2010 and it was partly done by cutting the price of sugar by 36%. At the time there were 285,000 sugar beet growers in the EU, a figure which has since been reduced to 164,000. In all 75 sugar factories, including the Greencore plant, closed with the loss of 20,000 jobs. According to the report into the sector by the Luxembourg-based European Court of Auditors, Ireland was the only member state with just one factory to close. It described the factory as 'large, modern and potentially efficient'. At the time the European Commission had argued that only factories which became unprofitable after the price cuts were implemented would have closed. However, today's report shows that 'no comparison of the productivity of individual producers or factories was available'. It also showed that the Commission was using data from 2001 and that it had not taken account of changes within the Greencore operation when its proposal was made in 2005. The report says that overall sugar production was not made more competitive, it is now controlled by a small few - 75% of the EU's production is now carried out by only six industrial groups. It adds that ultimately the EU has had to become a net importer of sugar, whereas before it was a net exporter. The report also notes that the reductions in the bulk price of sugar were not passed on to the consumer. 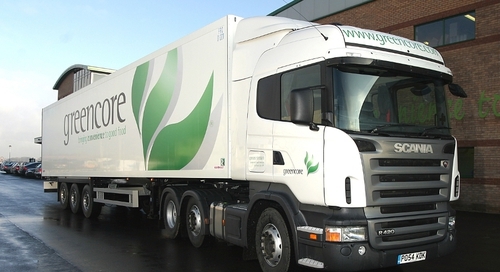 Ireland received €213m in restructuring aid after the closure of the Greencore plant. At the time much of the debate during the negotiations between member states and the European Commission was over compensation, and how much should be shared between Greencore and the workers. Some Irish farmers fought for the plant to be kept open, while others focussed on what compensation could be achieved. Fine Gael and Labour have reacted to the Court of Auditors report on the closure of Mallow sugar factory. The Fine Gael spokesman on Agriculture, Fisheries and Food, Andrew Doyle, said the report leads to the inescapable conclusion that the Government of the time was asleep at the wheel. Mr Doyle said the result is that 4,000 direct jobs, a profitable industry and a critical crop within tillage rotation were lost. The Labour Agriculture spokesman, Sean Sherlock, said that in the wake of the finding, serious questions arise as to the suitability of Tánaiste Mary Coughlan for high office. He said questions must be asked about Ms Coughlan's role in this fiasco. Mr Sherlock said the decision to close plants, including Mallow, was ultimately taken by the Council of Ministers, of which Ms Coughlan was a member, and it is clear that she failed abjectly to defend the interests of the Irish sugar industry at that time.